This cottage was built with environmentally friendly materials and it is also positive energy (producing more than it consumes). Ideally located between the lake and ski resort, at an altitude of 900m, facing south, overlooking the Serre Ponçon. In summer, swimming in the lake, river or lake fishing (2 km), hiking in the mountains or on site, horse riding, road bike (high passes), mountain biking (marked trails), water and air sports. To relax, nothing like local specialties, tourtons, donkey ears, ravioli, meats and cheeses of our valleys. This 4 **** chalet has been built with environmentally friendly materials and is also positive energy (produces more than what it consumes). Ideally located between lake and ski resort, at an altitude of 900m, facing south, overlooking the lake Serre Ponçons. 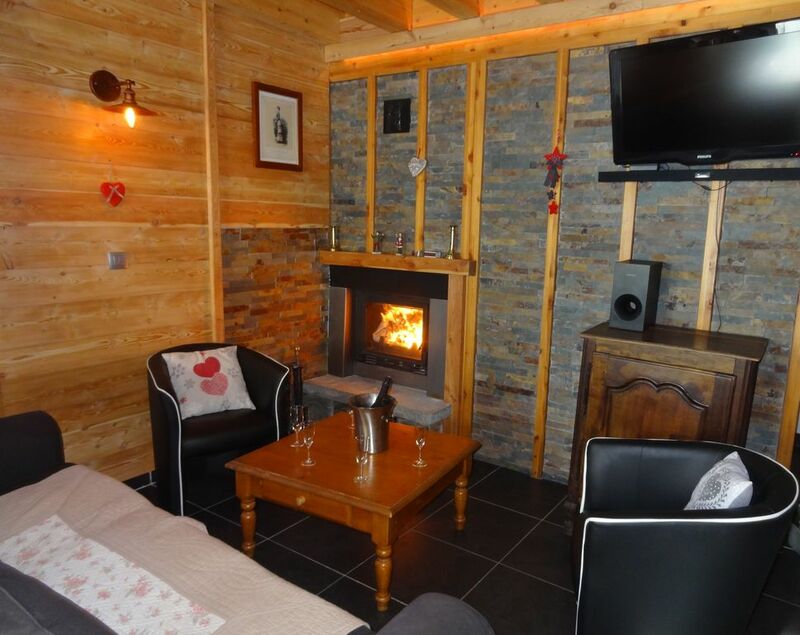 The cottage has two slots each 100m² completely independent and not overlooked. With each housing a unique charm welcomes you to a very comfortable for 7/8 people. One of the two housing (the Pouzenc) is equipped with a high-end Jacuzzi for 6/7 people that will relax after your busy day. All rooms have a TV and internet connection. Bed linen and towels on demand. Secondly snowshoes are available to discover nature! 1 south facing terrace with garden furniture. Discover farm Spirulina, this micro algae thousand virtues Chorges. The rock of Marcellinas; route discovery. Abbey Boscodon, a lively and vibrant place, wearing a remarkable environment where forest mélèzel stone, water and the tops share this holy place with a religious community open.